Our spring travel season kicks off this month and due to high demand in the last few days, the following teams are full, and will not be able to accomodate more players on the roster: U10G, U12G, U14B, & U10B. Registration for the U12B, U14G, U16G, and U19G teams will close Wed 4/10 at midnight. We apologize if there was any player not able to get on their teams this spring. We will offer a spring rec program again starting on May 4, running through the end of June, behind the high school, from 11-noon for all youth players. See our website for more info and registration. Our Spring Rec Soccer Program will begin on Sat. May 4, from 11- noon. This program will be for players aged 4 to 12 years old. The program will be held on the soccer fields behind the Trumansburg High School during May and June, ending on June 29. This is an informal program designed to introduce soccer to new or non-competitive players, continue with basic soccer skills at age-appropriate levels, and to have fun. There are no established teams, but we will divide all players by age group and/or skill level, depending on turn-out: approx. ages 4-6, 7-9, 10-12. Registration is active at registration page, and the cost is $35/player. Shin guards and water bottle are required, and cleats and weather- gear as suggested. Please register for Spring Rec program here. Located in Trumansburg, NY, our goal is to provide soccer opportunities–both recreational and competitive–for youth in our area, fostering technical and tactical training at levels that are appropriate for a player’s age. We are committed to the development of the values that promote team work, fair play, sportsmanship, and concern for others, both on and off the field. We welcome players from all backgrounds, abilities, and talents who have a desire and passion to play. 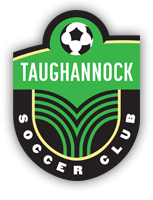 We also appreciate all those who generously give up their time to support our players and coaches, and help support the growth of Taughannock Soccer Club.